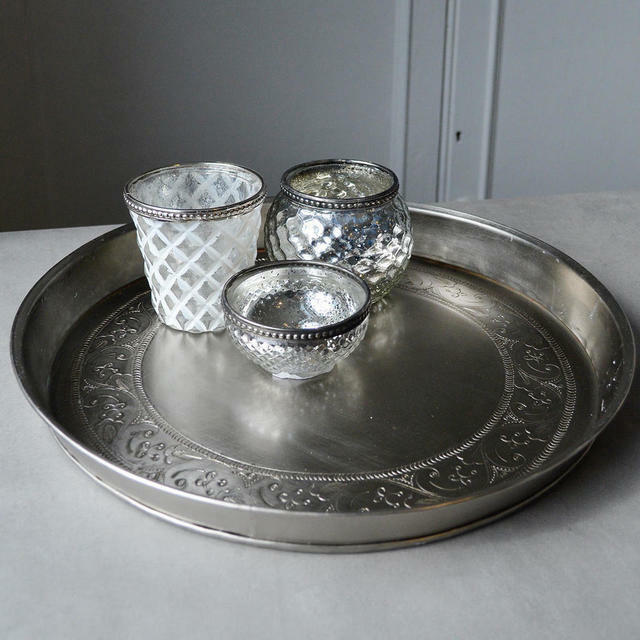 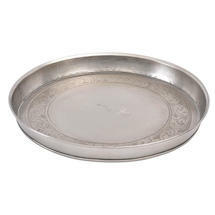 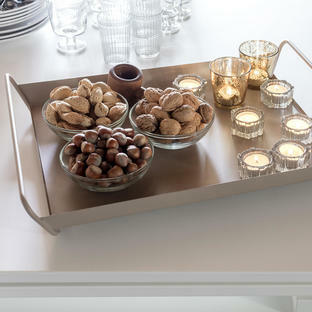 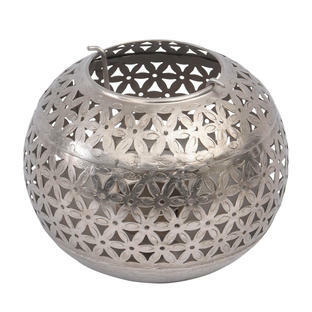 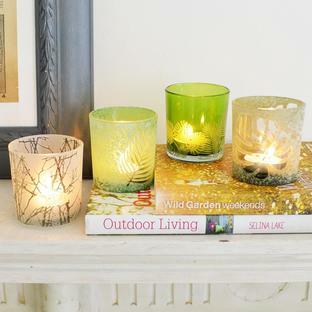 This metal tray in natural zinc finish with detailed etching is just perfect for afternoon tea, early evening sundowner drinks in the garden, or an elegant way to display twinkling tea lights on an occasional table. Or just to a lovely way to serve mezze suppers alfresco in the garden. 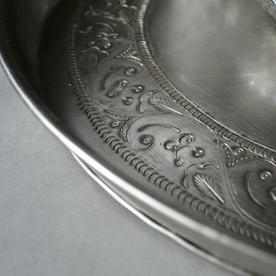 Made from nickel with etched finish.